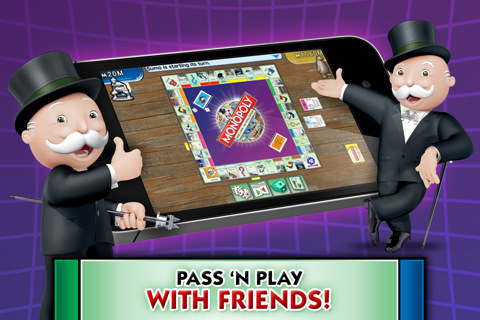 The classic board game Monopoly is now available for the iPhone and the iPod Touch. Monopoly Here & Now: The World Edition doesn't try to be clever and reinvent this classic game but rather remains faithful to the original concept and the only thing different about this version are the locations where you play. 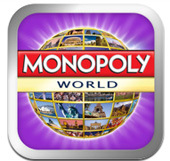 As opposed to the famous streets of America, the England or Australia, Monopoly Here and Now: The World Edition adds a variety of locations from around the world as opposed to country editions. It does take a few turns for the brain to become use to these locations but it's all good old fashioned fun. Money is a little different in this version and uses Monopoly money as opposed to real world currencies. 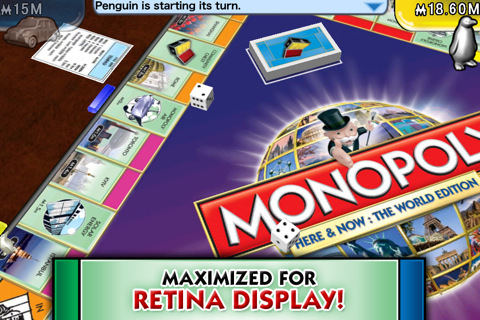 Monopoly on the iPhone/iPod Touch also features a local version (single-player or pass and play) and the ability of a WiFi game. 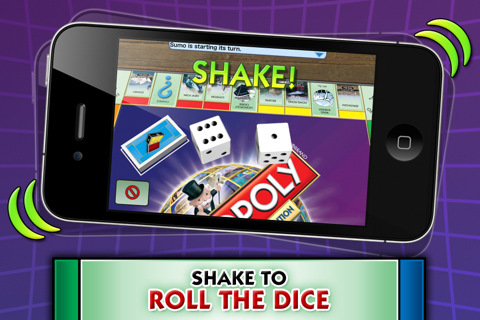 As mentioned, the game is virtually identically to the Monopoly board game which requires the player to roll the dice (shake the device) and then attempt to buy up big on the board by purchasing various properties. Once you have purchased these locations, you can then build houses or hotels on them. If you land a property already owned by another player and there is a house built on it, you will need to pay a "tax". Eventually, elimination plays a process in the game as the victor one by one knocks out the other players through bankruptcy. Sometimes properties can be traded and bided off in an auction style that replicates the Monopoly experience well. If you do become a little confused, Monopoly on the iPhone/iPod has a tutorial and a help option to assist those a little unfamiliar or rusty over the rules. Graphically, the title looks great on the iPhone 4, thanks to the additional support of retina display. However if you don't own the new iPhone or iPod Touch, it still looks quite acceptable on older units. The game also has this great 3D aspect to it and match that with a variety of board game sound effects and it all comes together perfectly. In conclusion, even though the single-player game is a little boring, playing via WiFi or "Pass 'n Play" is where Monopoly comes into its own. Perfect for a long trip or a long wait. And even if you run out of time, you can resume the game right where you left off.